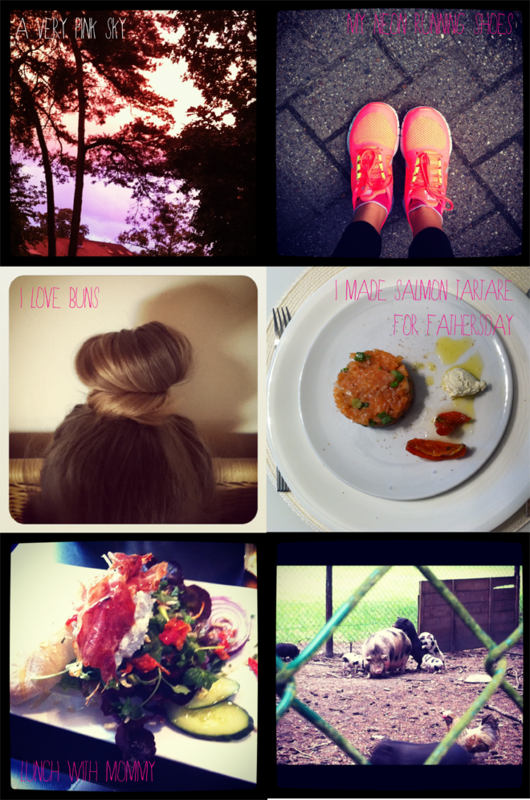 I made an Instagram diary to show you guys what kept my busy these last few weeks. As you can see, i had quite a lot to do! I bought new running shoes (neon pink!) but i only used them three times. I definitely need to do some more sports. My mom and me prepared a fathers day dinner. I was in charge of the starter. I bought new sneakers & a photography book about Helmut Newton. He was such an amazing photograper! The G-Star building. I love the combination of glass and wood. Just perfect. I went to Rock Werchter with some friends. It was truly amazing. I ordered some fake tattoos for the summer (festivals). Do you like it? 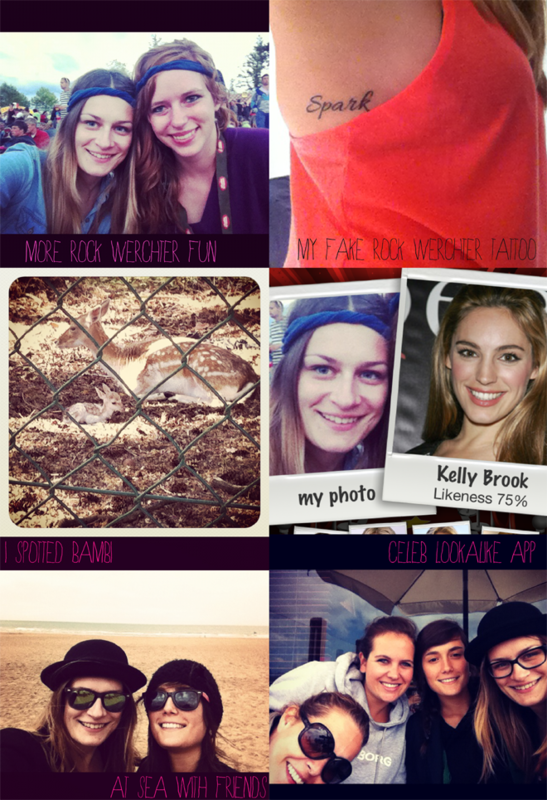 According to this Celeb lookalike app, i look like Kelly Brook. Don't even know her and i can't see any resemblance but i wanted to show you anyway. Last weekend i went to the Belgian coast with friends. I had a fabulous day! We also went to The Human Body exhibition in Oostende. It would certainly recommend it to everyone of you! Such a cool pics! Love the two pair of sneakers! Which brand are the running sneakers? Ben in Parijs naar de tentoonstelling van den Helmut geweest, echt de moeite! en ik wou dat ik RW dit jaar niet had overgeslagen! superleuke foto's! looking good at werchter! lekker eten, njammie! 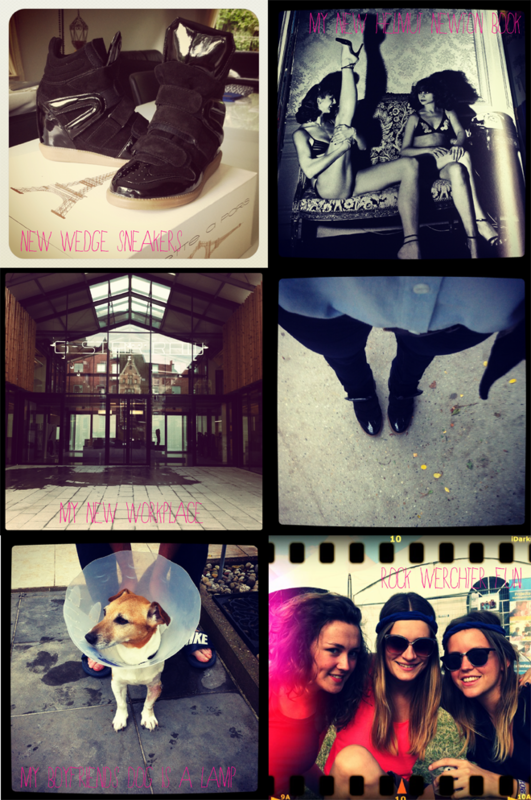 Enne, die zwarte sneakers! Ik heb er ook al op het oog, maar die zijn echt heel mooi; van welk merk is dat?